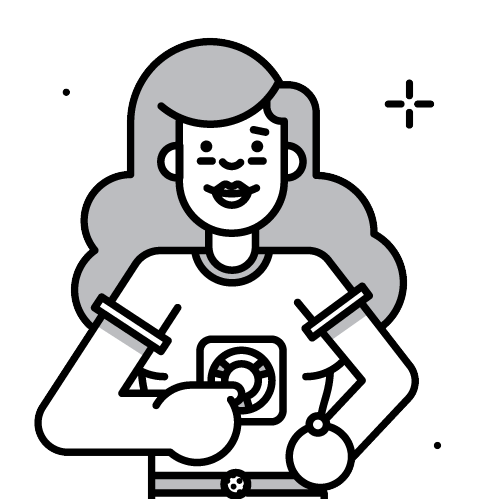 We’re not talking about making sure product packaging looks cool… though that’s important. We’re talking about using your marketing smarts and a little inspired creativity to craft the types of experiences that today’s consumers are looking to have. They also help brand forge potentially lifelong relationships with prospective customers. Fun fact: Millennials outnumber all other (living) generations with a population of 76 million in the US alone. Why does this matter? Because Millennials will have $1.4 trillion (yes, with a T) in annual spending power by this time next year. And guess what else...Millennials love to travel. And they’re using Instagram to find travel destinations. Not only that, but they’re sourcing travel ideas then reposting themselves traveling to destinations they found on social media! And often post pics of them doing the same activities featured in the picture they saw that inspired the trip. Whether the inspiration post was the work of a sponsored post or just another grammer sharing a cool experience, this is an example of experiential marketing… and for Millennials, it’s all about experiences you rack up. But let this be a lesson to brands and marketers: Experiential marketing is a powerful strategy that you can leverage to inform, inspire, and attract your customers to your business. What is Experiential Marketing (and What Does it Have to Do with My Brand)? Experiential marketing is a form of advertising (duh), but what makes it different is that it focuses on creating a branded experience that strengthens the brand-to-customer bond. You have another option -- create an experience consumers can't get anywhere else so they come to you in droves (we see you, Disneyland!). In the 20-year period between 2005 and 2025, the rate at which people spend on experiences ( or “enrichment” - I love that) will be nearly 3x what they spend on material things. Now, let’s look at a campaign. Orangina is a soda company that decided to do the exact opposite of most brands -- tick off their customers (but all in good fun, of course). And it paid off. They decided to create an experience that many of us find irritating -- having our can of soda held hostage by a vending machine. So Orangina decided to do something different to create a unique experience. They created a vending machine that holds your drink hostage (on purpose) and then requires you to shake it out. The vending machine is light and easy to move (as you'll see tiny women shaking the heck out of it like it's nothing) so that you can get your drink out. As it turns out, people loved it and it made their brand stand apart from the Coca Colas and Pepsis of the world (really, it’s just those two). You’re thinking it, right? Experiential marketing sounds synonymous with publicity stunt. But the two are definitely not the same. To put it simply, a publicity stunt is something companies use to gain mass amounts of attention from any and everyone. It creates a wow moment, maybe even boosts sales for a time, but then fizzles and dies out. Jeff Goldblum’s weird, awesome fire aside… it was a statue of Jeff Goldblum. With experiential marketing on the other hand, you're paving the way for engagement by creating moments and long-lasting memories. These experiences aren't one-night-stands that leave you confused or uncaring about your interaction. Instead, they make you want to tell all of your friends and family about what happened, and whenever you get the chance, you return to get the experience again. Why is Creating Experiences So Important for My Marketing Strategy? I get it, you think experiential marketing seems like just another advertising fad. And you may be wondering why you would spend your marketing budget on it. So, we're going to take a deeper dive. But first, let's take a swim back to the shore -- with the Millennials discussion. Best-selling author and Millennial personal finance influencer Ramit Sethi once told a quick story about a guy he knew who earned a sizable raise at work. Know what he did with it? Downsized his apartment so he could allocate more resources to traveling the world. That story above is why marketers talk so much about the fact that Millennials spend money differently than their Boomer and Gen X parents did. Millennials are drawn to experiences because they are unique, culturally-rich, and offer the opportunity for a transformational moment. Even if it's just for a short while. That’s why you find many of them traveling the world whenever they get the opportunity. Millennials look forward to their vacation time. We all do, but they use more of their vacation time (and I would imagine negotiate more vacation time as part of their benefits package) than did previous generation -- most taking an average of 35 days of vacation each year when the average American worker took 17.2 days of vacation in 2017, according to CNBC. In 2017, Millennials (ages 18-34) vacationing during the summer spent an average of $1,373. On week-long trips, 56 percent of them spend an additional $500 to $1,500 on top of airfare. Yeah, Saphia… but we’re talking about single people with no kids, right? Nope -- 62 percent of Millennial parents travel with children under 5 years old. So it's pretty clear that Millennials are serious about (and willing to spend on) their travels. But what about that "experience" we keep talking about? When you speak to most marketers today, they'll tell you that reaching Millennials is tough work. But it's not because they're ineffective at creating outstanding advertising campaigns. It's because their advertising campaigns aren’t connecting with Millennials. In the past, all you had to do was splash your ads all over television, radio, billboards, and newspapers to catch the eye of customers. 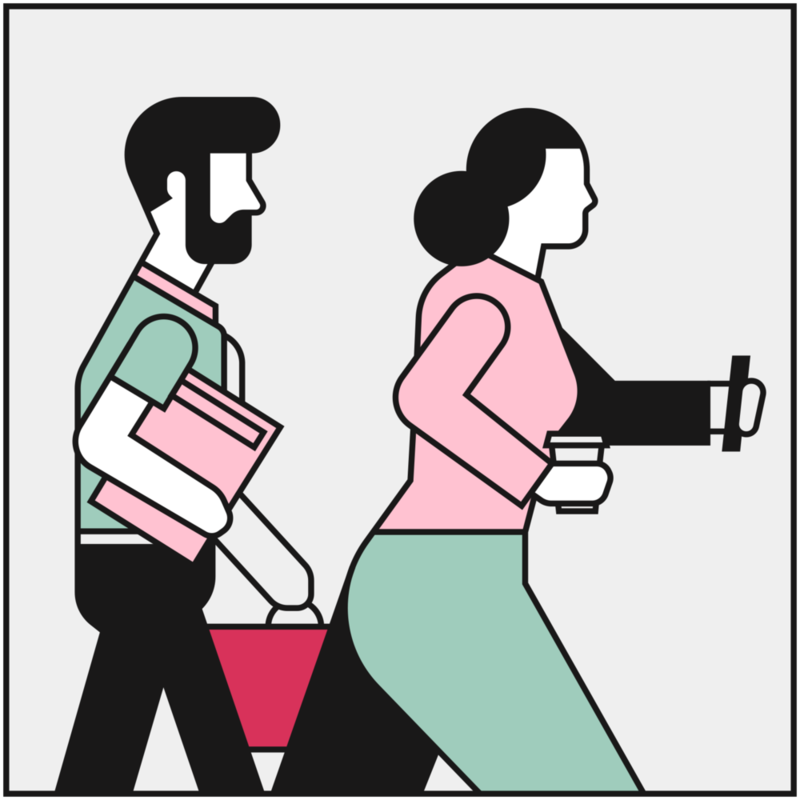 But let's be real -- Can you really picture workers in their 20s and 30s rushing to the office with a Yeti cup in one hand, and a folded copy of the daily times in the other? No. We need that other hand for our phones! And you see billboards… but you don’t SEE them because you’re mid-laugh listening to the Joe Rogan Experience podcast. Some may even LEAVE a video that forces them to watch an entire 15 seconds of an ad (or if it's really worth it, they'll just switch devices and check Instagram as they wait). The point is, traditional and even modern methods of advertising aren't attracting Millennials. This is where experiential marketing becomes really useful. Seventy-eight percent of Millennials would rather spend money on travel, music festivals, and unique events than stuff. What does that sound like to you? A lot of young adults aren’t looking to buy "things." So if you're able to tie in an experience with your product or service, then you can capture their attention and possibly even earn their lifelong loyalty. Oh, one more thing… Millennials can smell b.s. from a mile away so if your brand isn't authentic, you'll lose their trust at the gate. BUT if you can create an engaging experience that feels genuine with your brand, then you can take advantage of Millennials social media-fueled FOMO (fear of missing out). Instagram has grown from a photo-sharing platform to being the go-to resource for sharing experiences. THAT’S what makes it so captivating. Not only that, but most brands don’t get that people use Instagram to establish and share their social brand… and often their professional brand. Instagram isn’t just about pretty pictures, it’s about understanding the person in the pictures, the person who captured the picture, and even the person engaging with the picture. Nearly 60 percent of American Millennials are active Instagrammers. Instagram is the most popular platform among Millennials and Gen Z. Instagram is one of the only social networks out there that's seeing growth (Tik Tok is another one, just for a younger audience). Not only is Instagram the best place to connect with today's consumers, it also connects you with the next generation of shoppers. 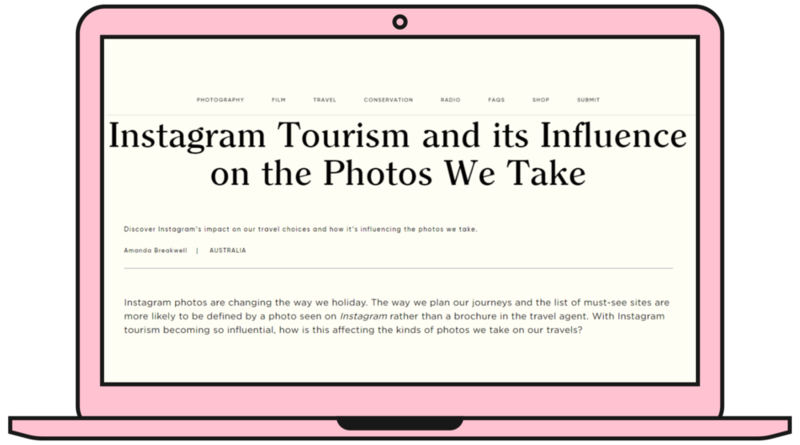 Instagram is influencing not just our choices in what we wear and the type of lipstick we buy, but also our travel decisions. Adweek called it a modern day travel agent. Sixty-seven percent of travel enthusiasts use Instagram for inspiration in finding new travel destinations. Another 40 percent say they actually value the Instagrammability (yes, this is a word) of a vacation destination. A whopping 97 percent of Millennials say they share posts of their vacations on social media. Imagine having thousands of Instagrammers sharing their great experience with your brand during their travels. What do you think will happen next? A flock of new travelers will likely come to check you out. But while sharing and tagging experiences on Instagram come with its benefits, it also comes with some drawbacks for certain destinations. Let's take a look at the power of Instagram and why it should be used responsibly. 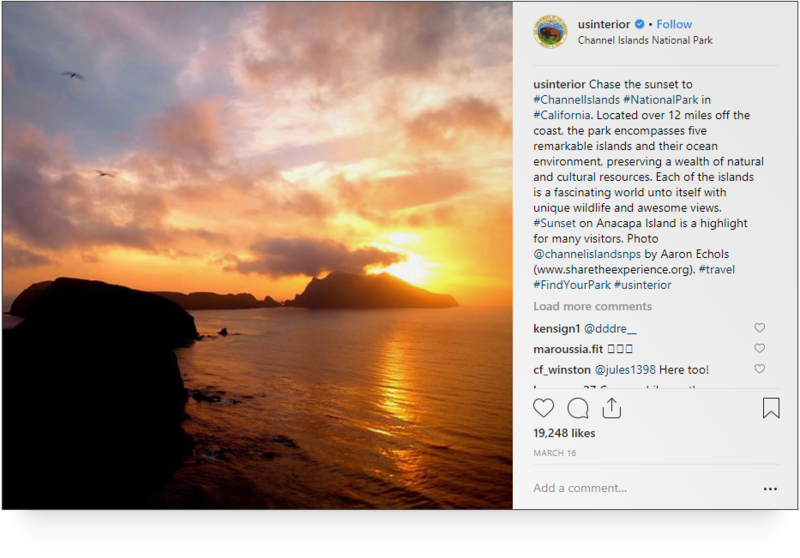 Who'd a thunk that a social media platform could lead to the potential demise of some of the world's most beautiful destinations? Well, it's gotten so bad that people (and the authorities) are coming out to ask tourists to tag their experiences responsibly. And it's starting a movement. If you haven't heard of it, then let me paint you a picture. You're an avid traveler who loves visiting the most obscure destinations on earth. So you scour Instagram looking for your next destination. You see an Instagrammer taking selfies in front of a gorgeous waterfall in a little-known-place in the Amazon. She geo-tags it, and then you look up the exact location. Next, you book your tickets, plan your itinerary, and pack your bags. When you arrive, you see the place is jam-packed with hundreds of tourists taking selfies in front of the waterfall, nearby rocks, and other settlements. You also notice the scene looks a bit different than the photo you "liked" on Instagram. Instead of the pristine and tranquil setting you expected, you see food wrappers, water bottles, and other trash littering the ground. In 2017, 1.5 million people visited Horseshoe Bend. And it was expected that another 500,000 would visit by the end of 2018. That's a stunning 5,500 tourists each day and lots of potential for vandalism. In some national parks, it's against the law to take Instagram shots. So to protect these destinations, places like Jackson Hole are asking traveling Instagrammers (specifically) not to share exact locations. And while this is a serious situation and has my full-backing, I can't help but notice how he put the spotlight on Instagrammers. Is it because of the far-reaching influence the platform’s content has on Millennials, Gen Z, and the travel industry? It's gotten to the point where folks are contacting Airbnb hosts to request hourly rates just for photo opp sessions. I have to admit, you can find a fair share of beautiful Airbnb homes in scenic places around the world -- so I completely get it. But again, this just goes to show how big of a deal Instagram is and how it's affecting travel and tourism. Take for example @icelandic_explorer, who's tracked the hashtag #iceland since 2014. 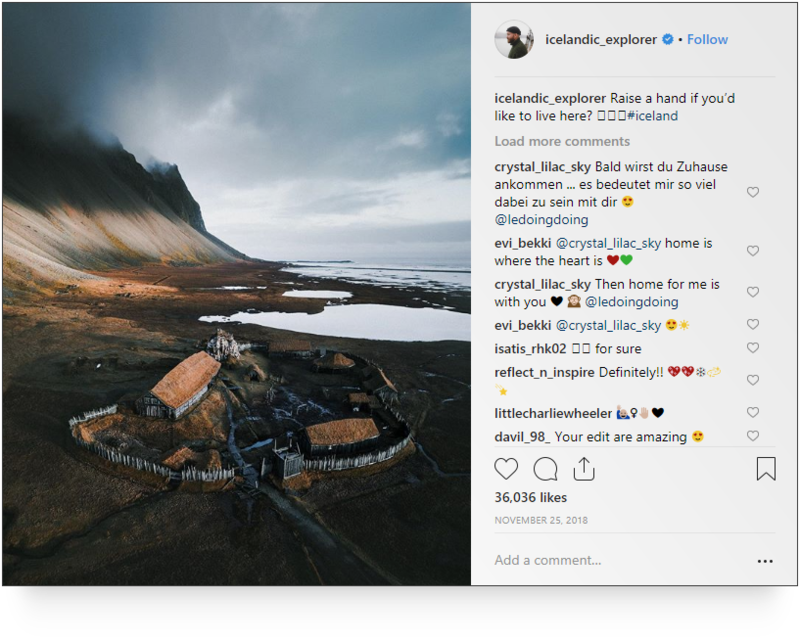 In just the last five years, #iceland as a travel location and destination has gone from being featured in 300,000 posts to now over 10 million. Instagram is like an endless resource of untapped exotic destinations ripe for the picking. Now that we have the digital marketing equivalent of a surgeon general’s warning out of the way, we’re going to help you get eyes on your travel brand because the first Gen Zers will be embarking on summer break in just over a month. Don’t worry… that’s long enough to put together a smashing campaign (I just wrote that in a British accent). The best way to learn is through the examples of others in the travel and tourism industry. There are five Instagram marketing strategies you’ll see that work really and that are relatively simple to roll out as part of your campaign. So we're going to show examples of what these brands did and how you can do the same. You can inspire your audience with the right images and multimedia content, like the one. Maybe you have a restaurant or hotel that sits right along a beach. Instead of capturing shots of your lobby, rooms, cafe, or (dare I say) even your plates, if your goal is to inspire people, show off the sunset and waves. Another excellent example of this is Airbnb (on Instagram @airbnb). The image below captures a phenomenal, who-does-that moment. She’s in the JUNGLE, bro! This little pic garnered nearly 70k instances of engagement. Airbnb not only takes and shares beautiful photos of homes and natural attractions around the world, it also share experiences and inspiring stories that entice their audience to plan for the next dream getaway. One such tempting offer was posted March 22nd. Take 71 seconds and watch this video on Instagram. It’s worth it. And yes… that says this one-minute video has garnered 343,282 views… including mine. This video effectively turns inspiration into aspiration. I want to scream my guts out as I’m going down into the crevasse. Source: Click to watch this video on Instagram. Sometimes, it's not enough to be in the sight of Millennials. You also need a pathway to their heart. This is what makes influencer collaborations ingenious. They help you gain visibility and trust. You have to remember influencers can charge brands money because they already have relationships with their audience. When you partner with an influencer, it softens their audience to hear and accept you as well. In case you didn't know, ninety-two percent of consumers trust influencers over digital advertisements and traditional celebrities. This is why the Bellagio Hotel in Las Vegas decided to team up with not one, but 20 rising star Instagrammers. The hotel invited these influencer to stay at the hotel. That campaign received over 50,000 positive mentions (and it took less than two months!). Now, it's ideal to create a campaign around your collaborations vs. opting for a one-off promotion of your destination. This is what makes events so promising, especially in the travel industry. Plan something for your restaurant, hotel, or retail shop to get the community and influencers involved. The idea is to make your collaborations authentic, or it'll just look like another paid promotion. If you can't do an all-out big event, then consider just inviting your selected influencers. This is what the fashion brand, Revolve, did. Revolve teamed up with luxury fashion and travel influencers like @ofleatherandlace and did an AMAZING job at aligning the edgy, cool girl vibe the influencers portray to their audiences. One influencer had such a great time that she created Stories on Instagram. The only thing better than Instagram photos are Instagram videos. If there's anything Instagram teaches us, it's that people are highly social. They like being seen and doing fun things together. So why not capture this in your experiential marketing campaign? Lululemon, an athletic apparel brand, is known for hosting free in-store yoga classes. The company created an event for the opening of a new store in Westfield Sydney. And it was massive. There were 400 yogis and a large crowd of participants wearing their Lululemon gear. Consider doing something like this for the grand opening (or re-opening) of your business. Or make it a yearly thing! Allowing your audience to interact with your brand offline, in the real world, while creating a memorable moment is what experiential marketing does best! Thinking outside of the box is often hard work, but it does work. Of course, doing something outlandish isn't guaranteed to get you the results you want. But if you know your audience and know your brand, you can craft a campaign that can not only forge stronger (read, lifelong and loyal) ties with you target customer, you can also get your campaign in front of millions of other buyers. The company knows their customers love to travel to warm and sunny destinations during the winter. So JetBlue found a unique and engaging way to promote flights from NY to Palm Springs. In the middle of winter, they placed a 6 x 6 block of ice amid a busy avenue. Inside, there were a variety of summertime accessories. JetBlue told New Yorkers they could take whatever was inside, but they'd have to work at it. So passersby began chipping away at the ice to claim items like golf clubs, beachwear, and even free plane tickets. See what I mean? Unique and engaging. Now, Get Out There and Create Some Instagrammable Experiences! I could go on and on about how your business can combine Instagram and experiential marketing to build impressive and high-converting campaigns. But for now, you can take the above and start applying it to your upcoming marketing strategies. Maybe you can plan an event, collaborate with an influencer you've been eyeing, or make a whacky, new prop to engage your audience. Or maybe you have better ideas (or a campaign you'd like to share) -- if so, let's chop it up in the comments below! Or call to schedule a demo of The Shelf platform.